Tune in to CHSR 97.9 FM on Wednesday, September 7th at 9PM (Atlantic) for a full hour of all things stranger with guest Mark the Encaffeinated One! Join the discussion LIVE by tweeting us @recapsequence or call us at the station during the show (506-452-6056)! See you on the upside down! We also welcome Monster Mike back to the program for an update on what’s what in the DC small screen universe! We hope you can join us LIVE on CHSR 97.9 FM at our new time: Wednesday at 9PM Atlantic / 8PM Eastern! Speaking of the Dead will now debut on CHSR 97.9FM as a 1-hour special presentation on September 14th at 9PM AT/8PM ET. Starting with a recap of Fear the Walking Dead episodes 8 – 11, Speaking of the Dead will then return on October 19th for a complete wrap up of Season 2. We’ll also be preparing for the worst as we dread and rejoice in the return of The Walking Dead! The Recap Sequence goes “LIVE” on August 31st! The Recap Sequence is moving! Starting August 31st, you can hear us live on Wednesday nights at 9PM AT / 8PM ET on CHSR 97.9 FM. Live means you can take part. Follow us on Twitter (@recapsequence) to tweet us, leave a comment on our Facebook page, or pick up the phone and give us a call! Hear us Thursday mornings at 11AM on Local 107.3 FM in Saint John and in playback on CHSR Sundays at 9PM. 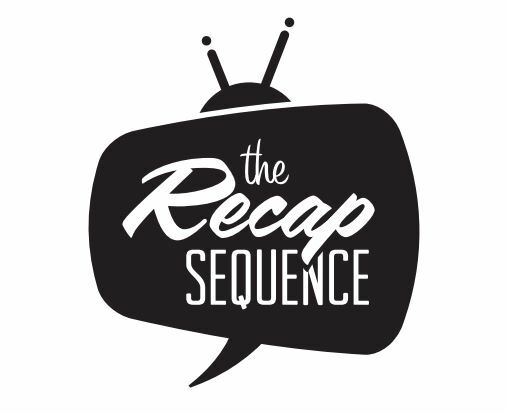 We’re also available on iTunes OR you can stream all of our content right here at http://www.recapsequence.com! Episode 023 – Back in the C.H.S.R. We are back from our summer break and what better way to shake off the cobwebs than an in-studio chat with Mark the Encaffeinated One?! Mark steadfastly avoided all spoilers during the biggest reveals of Game of Thrones, Season 6, watching the last installment of the HBO epic on his own terms. Ser Strong-willed! This week, we take a look back at the episodes that have laid the foundation for the inevitable end, which will be upon us in just 13 episodes. Sure we have time – “Winter” isn’t coming until at least Summer of 2017, but how are they going to do answer all of our questions in just 13 all-too-short hours of programming? !